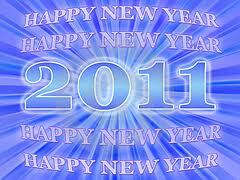 “I wish all our citizens a very happy New Year. It is an occasion to take stock of the year gone by and of the challenges that lie ahead. 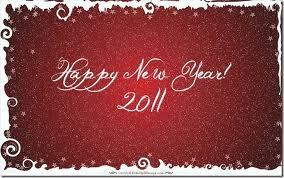 Let us make a new beginning to the year. Let us dispel the air of despondency and cynicism. We need to believe in the resilience of our democracy and its capacity to deal with infirmities and shortcomings through course correction. All India Consumer Price Index Number for Industrial Workers (CPI-IW) on base 2001=100 for the month of November, 2010 increased by 1 point and stood at 182 (one hundred and eighty two). During November, 2010, the index recorded an increase of 6 points each in Siliguri, Jamshedpur, Tiruchirapally and Bhilai centres, 5 points each in Giridih, Coimbatore, Mariani Jorhat, Rourkela and Selam centres, 4 points in 4 centres, 3 points in 6 centres, 2 points in 13 centres and 1 point in 17 centres. The index decreased by 4 points in Ghaziabad centre, 2 points in Agra centre, 1 point in 11 centres, while in the remaining 16 centres the index remained stationary. The maximum increase of 6 points each in Siliguri, Jamshedpur, Tiruchirapally and Bhilai centres is mainly on account of increase in the prices of Rice, Goat Meat, Onion, Vegetable & Fruit items, Firewood, etc. The increase of 5 points each in Giridih, Coimbatore, Mariani Jorhat, Rourkela and Selam centres is due to increase in the prices of Rice, Mustard Oil, Goat Meat, Eggs (Hen), Onion, Vegetable & Fruit items etc. However, the decrease of 4 points in Ghaziabad centre is due to decrease in the prices of Arhar Dal, Vegetable items, etc. and the decrease of 2 points in Agra centre is due to decrease in the prices of Urd Dal, Moong Dal, Vegetable items, etc. The All-India (General) point to point rate of inflation for the month of November, 2010 is 8.33% as compared to 9.70% in October, 2010. 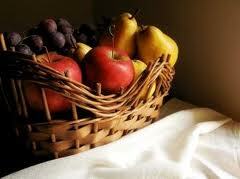 Inflation based on Food Index is 5.35% in November, 2010 as compared to 7.73% in October, 2010. 1. 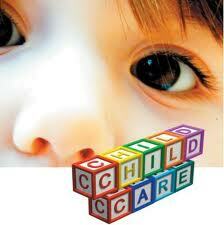 Whether Earned Leave availed for any purpose can be converted into Child Care Leave? How should applications where the purpose of availing leave has been indicated as 'Urgent Work' but the applicant claims to have utilized the leave for taking care of the needs of the child, be treated? Child Care Leave is sanctioned to women employees having minor children, for rearing or for looking after their needs like examination, sickness etc. Hence Earned Leave availed specifically for this purpose only should be converted. 2. 2.Whether all Earned Leave availed irrespective of number of days i.e. less than 15 days, and number of spells can be converted? In cases where the CCL spills over to the next year (for example 30 days CCL from 27th December), whether the Leave should be treated as one spell or two spells'? No. As the instructions contained in the OM dated 7.9.2010 has been given retrospective effect, all the conditions specified in the OM would have to be fulfilled for conversion of the Earned Leave into Child Care Leave. In cases where the leave spills over to the next year, it may be treated as one spell against the year in which the leave commences. 3. Whether those who have availed Child Care Leave for more than 3 spells with less than 15 days can avail further Child Care Leave for the remaining period of the current year'? No. As per the OM of even number dated 7.9.2010, Child Care Leave may not be granted in more than 3 spells. Hence CCL may not be allowed more than 3 times irrespective of the number of days or times Child Care Leave has been availed earlier. Past cases may not be reopened. LTC cannot be availed during Child Care Leave as Child Care Leave is granted for the specific purpose of taking care of a minor child for rearing or for looking after any other needs of the child during examination, sickness etc. Recommendations of the Fifth Central Pay Commission on scales of pay of posts of Superintending Engineers and equivalent in the Organized Group ‘A’ Engineering Service. Subject: Recommendations of the Fifth Central Pay Commission on scales of pay of posts of Superintending Engineers and equivalent in the Organized Group ‘A’ Engineering Service. Attention is invited to this Department’s O.M. No.22/I/2000-CRD dated June 6, 2000 containing instructions to give effect to the recommendations of Fifth Central Pay Commission (FCPC) contained in Para 50.45 of its report to convert the Non-Functional pre-revised pay scale of Rs. 4500-5700 (revised: Rs. 14300-18300) applicable to the Superintending Engineers and equivalent into a ‘Functional’ grade and to introduce a Non-Functional Second Grade in the scale of Rs.12000-16500 for the Executing Engineers and equivalent of All the Organized Group ‘A’ Engineering Services. These instructions were amended comprehensively vide this Department’s O.M. No. 22/1/2000-CRD dated December 20, 2000. 2. Certain amended provisions with regard to eligibility criteria for grant of functional grade of Rs. 14300-18300 (pre-revised) to the Superintending Engineers and equivalent prescribed in Sub-para I (ii) of this Department’s O.M. No. 22/I/2000-CRD dated December 20, 2000 were quashed by the Gauhati High Court in its Order dated April 1, 2009 in the Writ Appeal No. 7 of 2006. This decision has now been upheld by the Supreme Court also vide its Order dated February 11, 2010 in the Civil Appeal No. 1902 of 2010. These amended provisions were formulated in suppression of the original provisions contained in Sub-paras 3(a), 3(b) and 3 (c) of this Department’s O.M. No. 22/1/2000-CRD dated June 6, 2000. 5. This issues with the concurrence of the Department of Expenditure vide its ID Note No. 32 (5) —E-III (B)/2010 dated August 11, 2010 and the Department of Legal Affairs vide its Dy. No.FTS-3054/IOA dated November 22, 2010. Subject:- Monitoring of Annual Performance Appraisal Reports(APARs) of CSS officers by Nodal officers (http://css.nic.in). The undersigned is directed to refer to Joint Secretary(AT&A)’s letter of even number dated the 25th June, 2010 on the subject mentioned above vide which all nodal officers were requested to upload the status of APAR completion in r/o the CSS officers in their Ministry/Department. US and above level officers latest by 10.12.2010. Department of Public Enterprises (DPE) has issued orders which, inter alia, provide pension scheme within 30% ceiling of Basic Pay and DA. 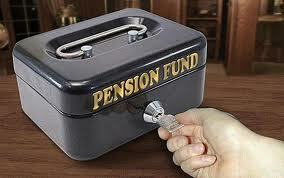 The Pension Scheme is to be framed and operated by the Central Public Sector Enterprises (CPSEs). DPE has issued orders enhancing Gratuity to Rs. 10 lakh in respect of CPSEs employees. Subject: Proceedings of the Interactive Session on e-service book held on 14th December. 2010 at North Block, New Delhi. The undersigned is directed refer to the D.O. of even number dated 2nd December, 2010 from Ms. Marnta Kundra Joint Secretary, regarding Interactive Session of Nodal Officers on e-service book on 14″ December, 2010. The detailed discussion on various issues including the current status of the implementation was held. The Proceedings of the Session are enclosed. All Ministries/Departments are requested to take further necessary action. The Interactive Sessions of nodal officers on e-Service Book implementation was held on 14 12.2010 at 10:30 a.m. & 3.00 p.m. in Room No.72, North Block, New Delhi under the Chairpersonship of JS(Estt. ), Ms. Mamta Kundra. The officials of this Department and NIC besides the representatives from the Ministries/Departments attended the session. 2. Smt. Simmi Nakra, Director, Department of Personnel & Training, welcomed all the participants to the Interactive Sessions. The background of the e-service book project was explained to them and the benefits of the system were outlined. It was stressed that employee profiles may be generated and employee feedback may be recorded. The participants were advised to start current entries in the e-service book format alongwith the previous entries, which could be taken care of in a phased manner by them. This would ensure that the e-Service Books become current quickly. The Joint Secretary (Establishment), Ms. Mamta Kundra, essayed that the basic objective of the Sessions was to seek suggestions and feedback on the issues related to e-Service Book. She stressed upon the importance of service book for the employee and how the e-format would be beneficial in facilitating quicker implementation. system. A brief was given to the participants with regard to the requirements for the Plan Scheme and they were requested to send the information as sought in the Questionnaire and prescribed proforma immediately. Shri G. K. Gaur, Sr. Technical Director, NIC, gave a brief presentation on the responses to the questionnaire and proforma received from some Ministries. He stressed upon the fact that his sample was too small to reach to some definite conclusion. It was therefore requested that remaining Ministries/ Departments may immediately forward their responses for better appreciation of the issues. 4. During the discussion various issues were raised by the participants. The representative of Ministry of External Affairs, Shri Arun Kumar Chatterjee, highlighted the security angle of the service book data. He requested the NIC to look into this aspect to ensure that the data may not be fiddled with. He aiso highlighted the specific issue of frequent postings abroad in case of MEA officials and associated maintenance of their service records. It was also mentioned that the Service Books of the officials joining the mnistries from outside Delhi are manual service books compared to e-Service Book here and again after completion of their tenure they would have to be provided with manual service book. It was informed that the purpose of the Plan scheme is to introduce e-Service Book throughout the Government in a phased manner and hence all employees will be covered in due course. The ‘Help Desk’ has to be more proactive. A ‘Call Centre’ type help desk was suggested. Details of spouse, such as working or not working, place of work, date of birth, etc., may be added in the parameters to enable the user Ministry to have firsthand knowledge of status of spouse. Name & designation of the employee should be reflected automatically on all pages once the service book is opened. Service verification page is not user friendly. Mostly the Drawing & Disbursing Officer furnishes a certificate and on the basis of it service is verified as qualifying service or otherwise. Further discussion was held on the issue of verification. NIC was requested to devise a proper system for verification of the data as there is no provision of digital signature. LTC field is not restricted to one of the members of the family but instead names of all the members furnished in the family details are reflected. There needs to be some arrangement for e-service book to be sent electronically to the Pay & Accounts division for issuing “Qualifying Service” Certificate as well as at the time of settlement of retirement benefits. The leave format in the e-service book needs to be simplified and made more users friendly. At present it is just the replica of physical service book. The balance of leave does not reflect automatically. The previous account of leave is also not reflected. It was also decided to look at the leave format in the physical service book. 6.The participants were requested to intimate change of Nodal Officer/administrative oficers/officials immediately for the security and authenticity of the data. They were informed that MIS reports generated with a perspective and the access to these would be provided to JS and above level officials in the Ministry, If the need for generation of some more reports was felt, the concerned Ministry may inform DOPT. It was also stressed that any other issues or suggestions which could not be highlighted in the Session could be mailed at eservicebook@nic.in. 7. The Ministries/Departments were requested to furnish the Questionnaire and Proforma A & B, including information in respect of attached and subordinate offices, at the earliest. For updated infomation on e-service book, the webpage, viz., persmin.gov.in/esbl23/html is required to be seen from time to time by the Ministries/Departments. Under the Swavalamban guidelines approved by the Govt. 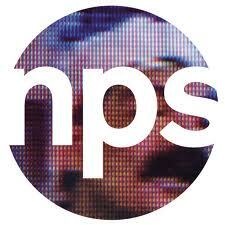 of India, all NPS accounts opened in 2009-10 will be entitled to the benefit of Government co-contribution of Rs. 1,000 subject to fulfilling the prescribed eligibility criteria. A list of eligible account holders is available on the Website of Pension Fund Regulatory & Development Authority (PFRDA) as well as the concerned PoPs. The PFRDA has requested the concerned NPS account holders to submit the requisite declaration form to the PoPs at the earliest to avail of the Swavalamban benefit. A copy of the Swavalamban declaration form can be downloaded from the website of the PFRDA / PoPs / NSDL. Sub: Reimbursement of cost of Safety Shoes in favour of Trackmen (Gangmen), Keymen, Mates, Gatemen & Trolleymen - NFIR's on 27th & 28th December, 2010. The demand of NFIR for enhancement of reimbursable amount to not less than Rs.1000/- towards the cost of Safety Shoes for Tarackmen, Keymen, Mates, Gatemen and Trolleymen was discussed in the PNM Meeting held on 27th & 28th December, 2010 with the Railway Board. 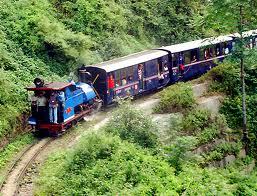 Consequently the Railway Board has agreed to revised the amount. It is expected that revision would be Rs.900/-. The Trackmen category should be informed accordingly. The State government has issued orders revising the pay scales of employees of the Kerala State Cooperative Bank with retrospective effect from April 1, 2007. Addressing a press conference here on Monday, Cooperation and Coir Development Minister G. Sudhakaran said the government had accepted the pay revision report of a panel headed by the Principal Secretary (Cooperatives), according to which the minimum upward revision for the last grade employee will be Rs.1,500 and that of Chief General Manager will be Rs.11,000. The KSCB will have to incur an additional burden of Rs.18 lakh a month or Rs. 2.16 crore a year. The Board of Directors had been authorised to work out the details of arrear payment. He said the existing running master scale of Rs.6,000-37,700 had been revised to Rs.7,825-50,450. The following are the revised pay scales for various categories of employees with the existing scale in brackets: Peon/attender 7,825-20,975 (6,000-14,775), Clerk: 9,625-28,375 (7,375-19,975) Junior Assistant: 11,750-32,050 (8,925-24,775) Accounts Officer: 14,375-38,350 (10,975- 29,300), Deputy General Manager: 20,975-48,950 (15,925-36,575) Chief General Manager: 25,075-50,450 (19,250-37,700). Employees would get 6.25 per cent fitment and 24 per cent dearness allowance along with the basic pay from the date of opting for the new scale or from April 1, 2007. The pay revision committee's recommendation for one increment for 10 years of service and two increments for 20 years service also have been accepted. Employees would get a house rent allowance of 10 per cent of the salary, subject to a limit of Rs.2,000, besides three stagnation increments. The commission's recommendation for higher grade promotion for the sub-staff category depending on the years of service has also been accepted. The government had sanctioned special pay for qualified employees ranging between Rs.500 to 700, over and above the pay committee's recommendation with a view to induct professionalism in its services. The Minister pointed out that the government had sanctioned the pay revision even though the KSCB was going through difficult times. Bank Chairman Koliyakode Krishnan Nair said the bank was in the red mainly on account of the inhospitable attitude of the National Bank for Agriculture and Rural Development (Nabard), which had failed to extend refinance for farm loans. Despite this, the bank had advanced farm loans, suffering loss in interest component to the tune of Rs. 12 crore. Reckoning of Running Allowance as pay for the purpose of deduction of Income Tax. Sub. : Reckoning of Running Allowance as pay for the purpose of deduction of Income Tax. 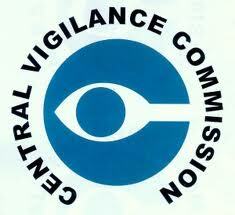 The Central Vigilance Commission disposed of 1580 cases during November 2010 referred to it for advice. Of these, 1158 complaints were sent for necessary action/ATR whereas 226 complaints were sent for investigation and report. No action was required on 108 complaints. The Commission advised imposition of major penalty against 138 officers including 38 from Central Board of Excise & Customs, 15 from Ministry of Railways, 12 each from M.C.D. and Ministry of Urban Development, 11 from Department of Telecommunications, 7 from State Bank of Bikaner & Jaipur, 6 from State Bank of India, 4 each from Canara Bank, State Bank of Travancore, Union Bank of India and Employees Provident Fund Organisation, 3 from Syndicate Bank. Remaining 17 cases pertained to different departments of the Government of India and PSUs. Recoveries to the tune of about Rs.1.31 crore were effected after Commission conducted technical examination of some departments. The Central Board of Secondary Education (CBSE) will affiliate five schools in India with its ‘international board’. As many as 20 schools functioning in foreign countries are already affiliated with the CBSE International Board. Harmeet Kaur Waraich, principal of Nankana Sahib Public School, Ludhiana, said this after returning to the city from Bangalore, where she attended the 17th annual conference of CBSE Sahodaya School Complexes on December 20 and 21. The conference was attended by nearly 500 CBSE school principals from across the country, with five of them from Ludhiana. The Ministry of Labour & Employment has made serious efforts to implement various provisions mandated relating to enhancement of the welfare and well-being of farmers, farm labour and workers particularly those in the unorganized sector, ensuring the fullest implementation of minimum wage laws for farm labour, striving for elimination of child labour, examination of labour laws that create an Inspector Raj and harmonization and streamlining of procedures. · Amendments have been carried out in 5 Acts namely the Workmen’s Compensation Act, 1923, the Payment of Gratuity Act, 1972, the Employees’ State Insurance Act, 1948, the Plantations Labour Act, 1951 and the Industrial Disputes Act, 1947. Proposals to amend 10 Acts are at various stages of consideration. · The ‘National Policy on Safety, Health and Environment at Workplace’ and the ‘National Policy on HIV / AIDS and the World of Work’ have been announced. The ‘National Employment Policy’ is being formulated. · The ‘Report to the People on Employment’ has been placed in the public domain. · 27 States / Union Territories have taken initiatives to implement the Rashtriya Swasthya Bima Yojana (RSBY). About 2.23 crore cards have been issued till 15.12.2010. · The coverage under RSBY has been expanded to include construction workers. Cabinet approval has been obtained to cover street vendors also. · The National Floor Level Minimum Wage has been revised from Rs.80/- to Rs.100/- per day w. e. f. 01.11.2009. · ‘Pehchan Identity Card’ Scheme for Employees’ State Insurance Corporation (ESIC) beneficiaries has been launched. · The wage ceiling for coverage of employees under the Employees’ State Insurance Act, 1948 has been enhanced from Rs.10,000/- to Rs.15,000/- per month w.e.f. 01.05.2010. · Employment of children has been prohibited in two more occupations, namely, ‘Circus’ and ‘Caring of Elephants’. · About 6.47 lakh children have been mainstreamed under the National Child Labour Project (NCLP). · Vocational Training is being provided through a network of 2,178 Industrial Training Institutes (ITIs) and 6,464 Industrial Training Centres (ITCs) where about 1.19 million training seats are available. · Upgradation of 100 ITIs with domestic resources, 400 ITIs with World Bank assistance and 1,396 ITIs under PPP mode was undertaken. · ‘Skill Development Initiative’ (SDI) Scheme for training school drop-outs and existing workers especially in the informal sector under Modular Employable Skills (MES) framework was implemented. · Kaushal Vikas Yojana to set up new 1,500 ITIs and 5,000 Skill Development Centres, Skill Development Plan for Youth , supplementing infrastructure deficiencies in ITIs in NE states and Sikkim and modernization of all 969 Employment Exchanges in the country under e-governance plan are being taken up. · ILO Convention No. 127 concerning Maximum Weight for manual transport has been ratified. · Labour Bureau has conducted eight quarterly quick employment surveys to assess the impact of economic slowdown on employment. · Labour Bureau has conducted the Annual Survey of Employment & Un-employment for the reference period 2009-10. The Workmen’s Compensation Act, 1923 has been amended to make it gender neutral. The Act will now be called ‘the Employees’ Compensation Act, 1923’. Besides , the compensation under the Act has been enhanced from Rs.80,000/- to Rs.1,20,000/- in case of death, from Rs.90,000/-to Rs.1,40,000/- in case of disablement and from Rs.2,500/- to Rs.5,000/- towards funeral expenses. The employee shall be reimbursed the actual medical expenditure incurred by him for treatment of injuries caused during the course of employment without any ceiling. A new Section 25A has been added for the Commissioner to dispose the matter relating to compensation under this Act within a period of three months from the date of reference. The wage ceiling limit for working out compensation has been increased from Rs.4,000/- to Rs.8,000/- per month . The Payment of Gratuity Act, 1972 has been amended first to cover teachers in educational institutions and again to enhance the ceiling on gratuity from Rs.3.5 lakh to Rs.10 lakh. The Employees’ State Insurance Act, 1948 has been amended to improve the quality of service under the scheme and also to enable ESI infrastructure to be used to provide health care to workers in the unorganized sector. The Plantations Labour Act, 1951 has been amended for providing safety and occupational health care to plantations workers. The Industrial Disputes Act, 1947 has been amended to amplify the term ‘appropriate government’ defined under section 2(a) of the Act, enhance the wage ceiling from Rs.1,600/- to Rs.10,000/- per month to cover workmen working in supervising capacity, provide direct access for the workman to the Labour Court or Tribunal in case of disputes arising out of Section 2(A) of the Act, expand the scope of qualifications of Presiding Officers of Labour Courts or Tribunals, establish Grievance Redressal Machinery and empowering the Labour Court or Tribunal to execute the awards etc. The National Policy on Safety, Health and Environment at Workplace and the National Policy on HIV / AIDS and the World of Work have been announced. A Health Insurance Scheme for the poor titled ‘Rashtriya Swasthya Bima Yojana’ (RSBY) is being implemented from 01.04.2008. The scheme envisages provision for issuing a smart card to the beneficiary. This card facilitates cashless transaction up to Rs.30,000/-. 27 States / Union Territories have initiated the process to implement the scheme and 24 States / Union Territories have started issuing cards. More than 2.18 crore cards have been issued. So far as other target groups are concerned, construction workers have been covered and Cabinet approval has been obtained to cover street vendors also. Steps are being taken to extend the scheme to cover railway porters and Mahatma Gandhi Rural Employment Guarantee Act (MGREGA) beneficiaries who have worked for more than 15 days during the preceding financial year etc. The National Social Security Fund has been set up for unorganized sector workers with an initial corpus of Rs.1000 crore. This Fund will support schemes for weavers, toddy-tappers, rickshaw pullers, beedi workers etc. Welfare Schemes relating to group insurance, medical cover, scholarship, pension, housing etc. for building and other construction workers, cine, beedi and non-coal mine workers are in operation. The National Floor Level Minimum Wage has been revised from Rs.80/-per day to Rs.100/- per day w. e. f 01.11.2009. In the Central Sphere, minimum rates of wages were revised for workers in the Employment of ‘agriculture’ , stone breaking and stone crushing’ , sweeping and cleaning’ , watch and ward’, ‘loading and unloading’ , ‘construction’, and ‘non-coal mines’ w.e.f. 01.10.2010 in the range of Rs.146/- to Rs.310/- per day for different categories of workers in different areas. The Central Government has notified the Payment of Wages (Nomination) Rules, 2009 defining the procedure for nomination and restricting the nomination by workers to his family members. 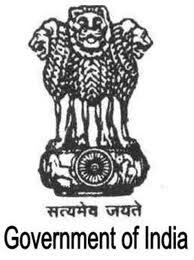 The Central Government has re-constituted two Advisory Boards namely Minimum Wages Advisory Board (MWAB) vide notification in the Gazette of India (Extra Ordinary) S.O. 1334 (E) dated 7th June, 2010 and Central Advisory Board (CAB) vide notification in the Gazette of India (Extra Ordinary) S.O. 2064 (E) dated 23rd August, 2010 under Section 7 and 8 respectively of the Minimum Wages Act, 1948. The first meeting of the MWAB and CAB was held on 23.09.2010 and 07.10.2010 respectively. New geographical areas covered by the ESI Scheme were 46 in 2008-09, 53 in 2009-10 and expected to be 60 in 2010-11. The number of insured persons was 1.43 crore, number of beneficiaries 5.55 crore and number of factories / establishments 4.6 lakh in 2009-10. The functioning of the Employees’ State Insurance Corporation (ESIC) is being improved through the use of information and communication technology under IT based e-governance project ‘Panchdeep’. A ‘Pehchan Identity Card’ Scheme for Employees’ State Insurance Corporation Beneficiaries has been launched. Every beneficiary will be issued two Smart Cards – one for himself and another for the family. This would enable Insured Persons (IPs) and their family members to avail benefit from anywhere any time, even if they are living at separate locations. The wage ceiling for coverage of employees under the ESI Act, 1948 has been enhanced from Rs.10,000/- to Rs.15,000/- per month w.e.f. 01.05.2010. ESIC has decided to enter the field of Medical Education recently and 29 Institutions would be set up including medical colleges, nursing colleges, dental colleges, post graduate institutions and training schools etc. One Post Graduate Institute of Medical Sciences & Research at Bangalore and one Dental College at Rohini, Delhi have already been started. It has been decided to modernize/upgrade/expand all ESI hospitals in a phased manner. Accordingly, 118 major projects are underway. New Hospitals at Manesar (Haryana), Bhiwadi (Rajasthan), Baddi (Himachal Pradesh), Tirunelveli (Tamil Nadu) and Peenya, Bangalore (Karnataka) are going to be commissioned in near future. Sophisticated equipments i.e. MRI & CT scan have been installed in ESIC Hospitals at Bangalore, Mumbai and Delhi. The ‘Modernization Project’ is being implemented with technical assistance of National Informatics Centre (NIC). This project is conceptualized in two phases. The first phase that has currently been implemented covers services that are rendered to members i.e. claims settlement and issue of annual accounts slips. The following benefits are likely to accrue: The time period for settlement of a claim of any type is expected to be less than 30 days. Annual accounts slips of members: The shift from the present manual to the new system would make accounts slip preparation both quicker and accurate. Electronic payments: In the new system payments to members would be made through NEFT (National Electronic Fund Transfer) mode. This will ensure that claims once settled will be credited to members’ accounts within 2 days instead of sending cheques by post which is time consuming. Database update and cleaning: The new system has a robust database in the backend and provides opportunity for gradual cleaning and updating of the database. A clean and updated database translates into better servicing for members. In pursuance of Government’s commitment to eliminate child labour in hazardous areas, the National Child Labour Project (NCLP) Scheme covers 271 districts. Over 6.47 lakh children from special schools of NCLPs have been mainstreamed into the formal education system so far. The Mid Day Meal Scheme of Ministry of Human Resource Development has been extended to children of NCLP schools w. e. f. 1st October, 2009, by way of convergence. Employment of children has been prohibited in two more occupations, namely, ‘Circus’ and ‘Caring of Elephants’. Accordingly, employment of children stands prohibited in 18 occupations and 65 processes under the Child Labour (Prohibition and Regulation) Act, 1986. Vocational Training with a view to creating a world-class skilled labour force is being given maximum importance. To help the youth build their career, training courses are offered through a network of 2178 Industrial Training Institutes (ITIs) and 6464 Industrial Training Centres (ITCs) located all over the country. About 1.19 million training seats are available in these Institutes. Action continued for upgradation of 100 ITIs with domestic resources, 400 ITIs with World Bank assistance and 1396 ITIs in specific trade and skills under Public Private Partnership (PPP) mode so as to create Centres of Excellence for producing multi-skilled workforce of world standard. The ‘Skill Development Initiative’ (SDI) Scheme was started in 2006-07 for the school drop-outs and existing workers especially in the informal sector. Action was taken to achieve the objective to train one million persons in first five years in Modular Employable Skills (MES) framework and thereafter one million every year. Apprenticeship Training is offered to the school leavers and the ITI passed-out persons through a network of 25,472 establishments in 235 designated trades with an objective to provide skilled workers for the industry. A quota of 2.94 lakh has been fixed to engage apprentices in these designated trades. Skill Development Courses in diversified areas exclusively for women are being offered through 1,213 ITIs / ITCs with the intake capacity of 51,804. However Basic, Advanced, Instructors Skill Training and Short-term courses are offered at National Vocational training Institute (NVTI) and 10 Regional Vocational training Institutes (RVTIs) exclusively for Women with about 3,764 training seats. A special scheme to train youth of J&K region under SDI scheme is being launched. Under the scheme, 8,000 youths are proposed to be trained in 2010-11 and 8,000 in 2011-12 of which 25% will be trained within J & K itself and 75% will be trained outside the State. Training cost would be fully borne by the Central Government. 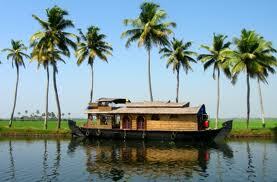 Trainees would be provided boarding, lodging & travel expenses, if they are required to stay away from their home. To facilitate an accelerated and sustainable transformation and for expansion of outreach of the vocational training , a scheme has been prepared to set up 1,500 ITIs and 5,000 Skill Development Centres (SDCs) in PPP mode under a project ‘Kaushal Vikas Yojana’ . For Left Wing Extremism (LWE) affected areas also a scheme in being initiated to wean away youth from violent and destructive activities, namely, ‘Skill Development Plan for youth of 35 Districts affected by Left Wing Extremism’. As a short term measure 5,000 youth of the region would be trained in identified existing ITIs / ITCs. As a long term measure 228 ITIs and 927 SDCs are proposed to be set up in identified 35 districts across eight states affected by LWE. A new centrally sponsored scheme for Upgradation of 20 ITIs and supplementing infrastructure deficiencies in 28 ITIs in NE states and Sikkim is being formulated. All the 969 Employment Exchanges in the country are being modernized in Public Private Partnership mode at a cost of Rs.2,167 crore under e-governance plan. Under the Project, a national web-portal will be developed, which on the one hand will have the requirement of the industry and on the other hand, the available skilled manpower. In addition, these Employment Exchanges will also assess the existing competencies of the job-seekers, provide them counseling and guidance and help in their placement in the industry. The National Employment Policy is being formulated and the Report to the People on Employment has been placed in the public domain. The Labour Bureau conducted eight quarterly quick employment surveys to assess the impact of economic slowdown on employment in India covering units pertaining to important sectors like textiles, leather, metals, automobiles, gems and jewellery, transport, IT/BPO and handloom / powerloom etc. As revealed by the results of different quarters studied so far, it may be observed that the employment increased by 6.38 lakh during October-December, 2009, by 0.61 lakh during January-March, 2010, by 1.62 lakh during April-June, 2010 and by 4.35 lakh during July-September, 2010. Thus overall estimated employment in the selected sectors has experienced a net addition of 12.96 lakh in September, 2010 over September, 2009. Labour Bureau has conducted the first annual labour force survey on employment and unemployment for the reference period from 1.4.2009 to 31.3.2010. Based on the survey findings, on the basis of around 46 thousand households, the unemployment rate, by following Usual Principal Status (UPS) approach, has been observed to be 9.4%. V.V. Giri National Labour Institute undertook Skill Gap Analysis in Gulbarga Region in Karnataka, conducted two international training programmes on ‘Prevention of HIV/AIDS in the World of Work’ and ‘Leadership Development’ and conferred the V.V. Giri Memorial Award in Labour & Employment to Prof. Ravi Srivastava. The Central Board for Workers Education (CBWE) conducted 4,109 programmes for 76,029 workers of organized sector, 4,792 programmes for unorganized sector workers and 2,496 programmes for 1,01,310 rural sector workers during May, 2009 to September, 2010. Government of India has ratified ILO Convention No. 127 concerning Maximum Weight. The Convention provides that no worker shall be required or permitted to engage in the manual transport of a load which by reason of its weight is likely to jeopardize his health or safety. The maximum limit has been fixed at 50kg. A special Event was organized by Ministry of Labour & Employment on 04.02.2010 at New Delhi in connection with the celebration of the 90th Anniversary of International Labour Organization. Government of India participated effectively in the deliberations at various international fora like International Labour Conference of ILO G-20 Labour and Employment Ministers’ meeting. The 43rd Session of Indian Labour Conference was held on November 23-24, 2010 in New Delhi under the Chairmanship of the Union Minister of Labour & Employment. Minister of State for Labour & Employment Minister was Co-chairman of the meeting. The ILC deliberated on Global Financial Downturn – its impact- job losses – comprehensive package for protection of labour force, etc. ; Problem of contract labour – social security, wages, etc. And amendments in the contract labour legislations; and Employment Generation and Skill Development. NEW DELHI: Bad news is in store for government employees contesting matters relating to their service conditions in the Central Administrative Tribunal (CAT) as they may not be able to challenge the judgment in the Supreme Court. Government employees not satisfied with CAT orders on their service matters will continue to appeal in High Courts as government's plan to enable them approach the apex court directly has received a thumbs down from the top law officer. "As of now, the buck stops here (on the issue)," Law Minister M Veerappa Moily told PTI when asked to comment on Vahanvati's opinion. While the same rules is in operation even today, a 1997 Supreme Court ruling held that judicial review is the basic feature of the Constitution and a High Court's power on judicial review cannot be taken away. 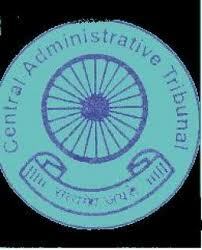 "The Armed Forces Tribunal Act has been borrowed from CAT. Appeals against Tribunal's orders can only be challenged in the Supreme Court. But in CAT's case, it has become a three tier system...the entire purpose of CAT has been defeated," said a CAT functionary. "They pay Rs 50 as fee to move CAT, but they have to pay thousands of rupees in High Court...if the matter reaches Supreme Court, the time and cost involved is massive," he said. 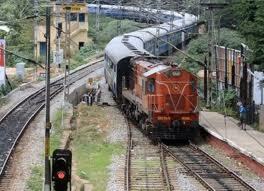 After lots of hiccups, All India Railwaymen Federation’s proposal to give 2 AC pass to Grade Pay Rs. 4200, 3 AC Pass to Grade Pay Rs. 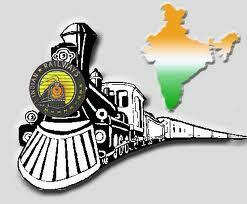 2800 & also 3 AC pass to staff with GP 1900, 2000 & 2400 travelling on duty, has finally been accepted by Railway Board. After kind approval of MR orders are likely to be issued shortly. General Secretary/AIRF has thanked all Railwaymen for keeping the patience & also extends greetings to Hon’ble MR & Board on resolving the Pass issue. A person working on probation can be sacked from service without prior hearing if his or her performance is not satisfactory, the Central Administrative Tribunal has held. "A probationer's services could be terminated if his performance is unsatisfactory and the termination would be valid from all angles," the CAT's bench of members Veena Chhotray and Shanker Raju said in their ruling. The country's apex tribunal to adjudicate government employees' dispute on service matters gave the ruling on a petition by a trained graduate teacher, Narbda Singh, a resident of Kushinagar (UP), challenging the termination order from Kendriya Vidyalaya Sangathan (KVS). Singh opposed the order saying action was taken without being given an opportunity to present his case or to defend himself and that this had led to violation of the principles of natural justice. The KVS justified its decision saying despite several opportunities and reminders he had failed to improve his performance prompting it to take the step under the KVS rules. Satisfied with KVS's contentions, the tribunal rejected Singh's plea saying the termination did not violate the principles of natural justice. "We do not find any punitiveness and victimisation in the termination order. The unsatisfactory performance is not the foundation of the order but is a motive as per the terms and conditions of the appointment letter. "Such termination does not require prior hearing or following the principles of natural justice and the right to be heard," the tribunal said. We have received a copy of the note, contained in the above cited letter of the Railway Board, wherein the Railway Board have sought views/ comments of the Federation. After submission of the report of the VI CPC, there had been a discussion between the Secretary(Staff Side), National Council(JCM) and the VI CPC, wherein it was made clear to the Pay Commission that the Productivity Linked Bonus is a bilateral settlement arrived between the Railway Board and the Federations. Therefore, suggestion of the Pay Commission to implement Performance Related Incentive Scheme(PRIS) in the Railways cannot be accepted as a recommendation of the VI CPC. In view of the above, Performance Related Incentive Scheme(PRIS) is not acceptable to us. Subject: Stepping up of pay of senior Assistants/ PAs of CSS/CSSS promoted prior to 01.01.2006 & Drawing less pay than assistants/PAs of CSS/CSSS promoted after 01.01.2006. A large number of references were received from various Ministries/Departments and service Associations regarding stepping up of pay of senior Assistants/PAs Central Secretariat Service (CSS)/Central Secretariat Stenographers' Service (CSSS) promoted prior to 01.01.2006 and drawing less pay than Assistants/PAs of CSS/CSSS promoted after 01.01.2006. 2. The matter has been examined in consultation with Ministry of Finance. The Department of Expenditure vide UO No. 10/1/2009-IC dated 14.12.2009 (copy enclosed) had issued a clarification regarding manner in which pay of Assistants/PAs would be fixed consequent upon grant of revised pay structure of Grade Pay of Rs. 4600 in the pay band PB-2 to them on the basis of OM dated 16.11.2009. 3. In this context, it is clarified that benefit of stepping up of pay as per Note 10 under Rule 7 of CCS(RP) Rules 2008 would be admissible to senior Assistants/PAs of CSS/CSSS promoted prior to 01.01.2006 and drawing less pay than Assistants/PAs of CSS/CSSS promoted after 01.01.2006. 4. All Ministries/Departments may regulate stepping up cases of Assistants/PAs of CSS/CSSS accordingly. In this regard it is clarified that Primus Ortho & Spine Hospital, Chandra Gupta Marg, Chanakya Puri, New Delhi 10 021 would however, continue to be on CGHS, Delhi panel at old( pre-revised ) rates till 11th November 2010 (next date of hearing ) as per the directions of Hon’ble High Court of Delhi in WP( C ) No. 6720 of 2010 filed by ‘Delhi Hospital Society Regd., ‘ v . Union of India and Others. The undersigned is directed to invite reference to the Office Memorandum of even number dated 20th October 2010 on the above subject, and to clarify that Primus Ortho & Spine Hospital, Chandra Gupta Marg, Chanakya Puri, New Delhi 10 021 would continue to be on CGHS , Delhi panel at old( pre-revised ) rates till the matter is decided by Hon’ble High Court of Delhi as per the directions of Hon’ble High Court of Delhi in WP( C ) No. 6720 of 2010 filed by ‘Delhi Hospital Society Regd., ‘ vs Union of India and Others. Indian Railway Catering and Tourism Corporation Limited as the Official agency for the Indian Railways for issuance of e-tickets and i-tickets through its website www.irctc.co.in has made necessary changes in its website for smooth switchover to the five digits train number system. The proactive changes in the Computerized Passenger Reservation System would ensure smooth operations and reduce the resultant complexities in booking reserved accommodation on trains, with the new train numbers. IRCTC, has already begun printing the five digit train numbers on its e-tickets and i-tickets for any date of journey, from today onwards. 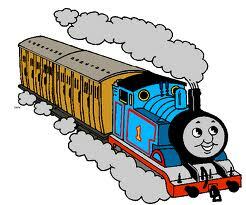 Indian Railways, in its effort to improve passenger services is introducing five digit train numbers from today. 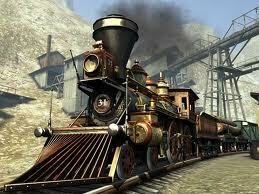 Till now, the train numbers used to be in four digits and some even in alpha-numeric. IRCTC’s 139 Rail Sampark, the custodian for the Rail Enquiry System is up and ready too to work in sync with the Indian Railways. The All India 139 Rail Enquiry System has also geared up to provide information on accommodation availability, arrival, departure, fare and other time table enquiry with new train numbers. Further, an exclusive utility to know the new train numbers has also been provided at www.irctc.co.in for the passengers, which is amongst the top ten sites most visited on Google too. IRCTC had added number 7 to the existing menu in the 139 facility from 19th December 2010 midnight to enable passengers to find the new train numbers in a hassle free manner. The new menu will now be one–for PNR Status, two – for Arrival/Departure, three-for Accommodation Availability, four-for Fare Enquiry, five- for Booking ticket by Cash/for delivery of tickets by courier and now seven – for New Train numbers. The Union Public Service Commission has announced the results of National Defence Academy & Naval Academy Exam (I) 2010 on the basis of the results of written examination held by UPSC in August 2010 and the interviews held by the Services Selection Board of the Ministry of Defence. The examination was held for admission to the Army, Navy and Air Force Wings of National Defence Academy for the 125th Course and Naval Academy 10+2 (Executive Branch) for 45th Course. The list contains names of 479 candidates. There are some common candidates in the three lists for Army/Navy, Air Force and Naval Academy. The number of vacancies as intimated by the Government of India is 335 (195 for the Army, 039 for the Navy, 066 for the Air Force and 035 for the Naval Academy (Executive Branch). CLOSING OF PPF (HUF) ACCOUNTS ON MATURITY –AN AMENDMENT TO PARAGRAPH (9) OF PPF SCHEME 1968. ● PPF accounts opened in the name of HUF prior to 13.5.2005 cannot be further extended after maturity and no further deposit can be accepted in such accounts after maturity. ● PPF accounts opened in the name of HUF prior to 13.5.2005 will be closed on maturity i.e. 31st March of the 16th Financial Year from the year in which account was opened. No further interest will be admissible. ● PPF accounts opened in the name of HUF prior to 13.5.2005 but have already been matured but not yet closed, shall be closed on 31st March, 2011 after which no further interest shall be admissible. 3. Copy of amendment issued by MOF (DEA) is enclosed. It is requested that this amendment should be circulated to all post office handling PPF scheme and above matter given in bullet points should be displayed on the Notice Boards of these Post Offices. It is also requested that strict instructions should be issued to all postal staff at the counters to see the passbook at the time of deposit of subscription in PPF accounts and not to accept deposits in such accounts. Any over payment of interest if made shall be the responsibility of the Counter PA and the Supervisor. 4. This issues with the approval of DDG (FS). Promotion of Assistant to the grade of Section Officer of Central Secretariat Service(css) on ad-hoc basis. Subject: Promotion of Assistant to the grade of Section Officer of Central Secretariat Service(css) on ad-hoc basis. Special Allowanc to Gatekeepers of Civil engineering Level Crossings IdentifIed difficult gates. No. E(P&A)I-2009/SP-1/CE-1 New Delhi dated 20.12.2010. Sub: Special Allowanc to Gatekeepers of Civil engineering Level Crossings IdentifIed difficult gates. Pursuant to implementation of the accepted recormmendations of the Sixth Central Pay Commission relating to grant of Special Allowance, the issue relating to grant of Special Allowance to Gatekeepers posted at Civil Engineering Level Crossings. Identified as difficult gates, has been under consideration of the Board. This issue has also been raised by the Federations. 2. Board has decided, to revise the rate of Special Allowance admissible to Gatekeepers posted at Civil Engineering Level Crossings, identified as difficult gates from the existing rate of Rs 15O/-p.m to Rs 300/-p.m.
3. The rates of the Special Allowance may be increased by 26% every time the Dearness Allowance payable on revised pay scales goes up by 50%. 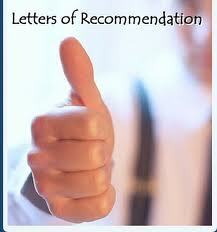 4 The other terms and conditions stipulated in Boarde above referred letter will remain the same. 5. These orders wourd be effective frcm 1st September 2008. Taking strong exception to the reported dilly-dallying tactics adopted by the authorities concerned in fixation of salaries of teachers in the revised payscale, Patna University (PU) teachers have decided to resort to direct action to lodge their protest. Patna University Teachers' Association (PUTA) has given a call to its members to hold a demonstration in front of PU office on Tuesday to press immediate fixation of their salaries in the revised scale and start payment of revised salaries. PUTA will also disturb the meeting of the university Syndicate scheduled for Wednesday if its demand is not accepted, said general secretary Randhir Kumar Singh. He pointed out that a decision to implement the revised UGC payscales for college and university teachers was taken by the state government in July this year and a letter to this effect was sent to all the universities by the HRD department on July 29. 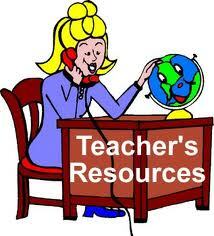 As per government decision, the teachers were supposed to get revised salaries from the month of September. Teachers of various categories filled up the prescribed proforma of revised scale and submitted the same to the registrar in August. Subsequently, PU constituted Pay Fixation Committee headed by statistics department head Arun Kumar Sinha which completed the entire fixation work in October. However, the pay fixation has been kept pending for the last two months due to the failure of the university to convene a meeting of the Committee. The university authorities are evading the meeting, Singh alleged. In the meantime, the HRD department has sent several reminders to the university for finalizing the pay fixation of teachers and non-teaching staff in the revised scale and preparation of the university's budget accordingly. PU Syndicate member Rajiv Ranjan Prasad has also expressed his concern over the inordinate delay in pay fixation of university teachers in the revised scale and demanded immediate meeting of the statutory Committee. Addressing professional certification needs of higher learning of its personnel below officers rank including recognition of ‘in service’ training, Indian Air Force (IAF) yesterday, signed a Memorandum of Understanding (MoU) with Indira Gandhi National Open University (IGNOU), launching ‘Akashdeep’– a project registering existing airmen training institutes as Community Colleges enabling all serving airmen to obtain a Bachelor’s degree within 8-13 years of their service. The MoU allowing conferring of educational certifications to airmen and NCs (E) (Non Combatants) (Enrolled) within the parameters laid down by IGNOU for Community Colleges was signed by Air Officer-In-charge Personnel, Air Marshal KJ Mathews on behalf of IAF and by IGNOU Vice Chancellor, Prof. V.N. Rajasekharan Pillai in the presence of the Chief of the Air Staff, Air Chief Marshal PV Naik, senior IAF, IGNOU Officials and the MoU beneficiaries – IAF Airmen and NCs (E). Under the arrangements, the two modules of the Joint Basic Phase Training (JBDT) will enable airmen to earn credit points that would be transferred to IGNOU for completing their Certificates, Diplomas and Associate Degrees in Arts, Science, Commerce, Business Administration, Hotel Management, Hospitality services, Medical services, Para Medical Sciences, Office Management, Automobile Trade performing skill, Music, Instrument Music. Subsequent to this, an airman can enroll for a one-year distance learning programme with IGNOU leading to award of Bachelor’s Degree. For the non-combatants, the basic trade training imparted at IAF Training Institutes will make them eligible for award of Certificates in their respective trade by IGNOU. The launch of the project will immediately benefit nearly one lakh IAF personnel who will, on completion of the syllabus receive a Degree from the National University that has the potential to transform their post-retirement life besides helping them prepare for competitive jobs. Presently, the entry level qualification requirements for airmen in IAF is 10+2 in Group-X and Y trades (Technical and non-technical trades), and Class-X for Group-Z trade (Musicians). For NCs (E), the minimum educational qualification requirement is also Class-X. However, individuals who did not complete 10+2 examination prior to joining the IAF can undergo a bridge programme of one semester before qualifying for registration to the Associate Degree. Better qualified human resources will help IAF in gainful utilization of its resources. The programme, while validating IAF training curriculum is also one among the several welfare measures for its personnel. Project Akashdeep also signifies IAF’s association with sky and its quest for knowledge. Subject: Deputation/visits abroad exceeding five days – approval of Screening Committee of Secretaries reg. Reference is invited to this Department’s Office Memorandum of even no. dated 23 July 2010 on the above subject. 2. The foreign deputation of officers of the level of Joint Secretary and below exceeding five days have been exempted from Screening Committee of Secretaries (SCOS) procedure vide the OM referred to above. However, scOs procedure has been retained in respect of foreign deputation proposals where the number of members exceeds five, irrespective of the level. 3. Consequent to the issue of the above OM, clarifications have been sought from this Department as to whether the SCOS procedure is applicable to delegations where the size exceeds five in number but where the expenditure on the visit of 5 or less members is borne by the Government of India. 4. In this connection, it is clarified that the SCOS approval will not be required in respect of cases where the delegation consists of officers of the level of Joint Secretary and below and expenditure in the case of only 5 members or below is borne by Government of India although the overall size of the delegation may exceed five.